It's summer! Yay! 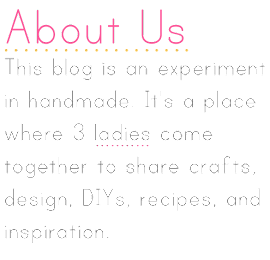 Hence a lot of not posting here on the blog. Oh well, you should be outside enjoying the weather anyway. But since it's summer (or tomorrow is, but let's not get picky), that means it's shorts season. I actually am not a huge fan of shorts and tend to lean more towards the skirt/dress option. But if I do decide to wear them, I dont want them riding up and pinching my legs and being super uncomfortable. So one solution I recently found to fix shorts that are a little too snug in the thigh region, is to add a bit of lace to them. 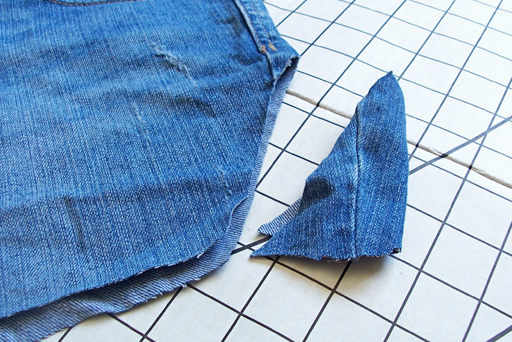 First, cut a triangular piece of fabric off the outside part of your shorts. Do for both legs. 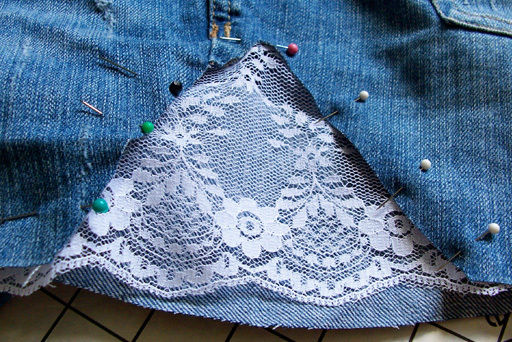 Then measure out how much lace you need to fill the gap in your shorts with the lace. 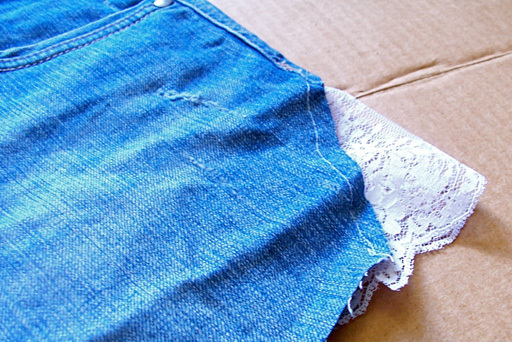 Place the lace on the inside of the shorts and pin in place. Then simply sew the lace in place. 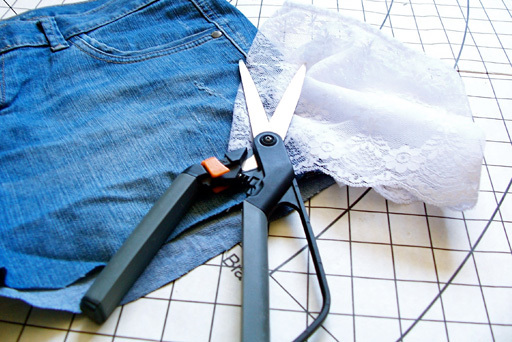 When you are done you can trim any excess lace from the inside or hanging off the bottom. That's it! Pretty easy and pretty cute, better fitting shorts in the end.